A pasta out of coconut meat?!? I just had to see (and taste) it for myself - Bohol Coco Farm's most popular dish from their organic menu. Panglao Island had been elusive the past four times I've visited Bohol. As a first-timer, Alona Beach was the first choice. But after crunching the numbers on the budget, less popular options were considered. 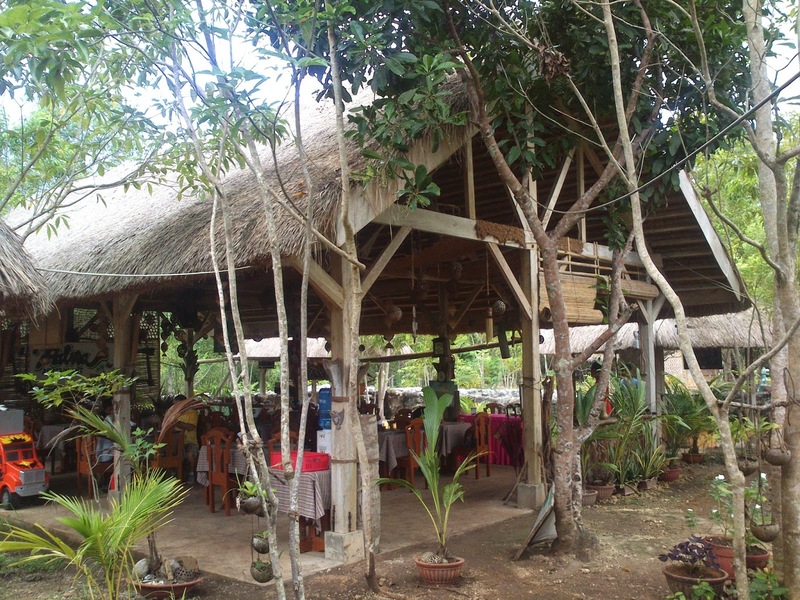 Bohol Coco Farm is an off-beach backpacker type B&B. 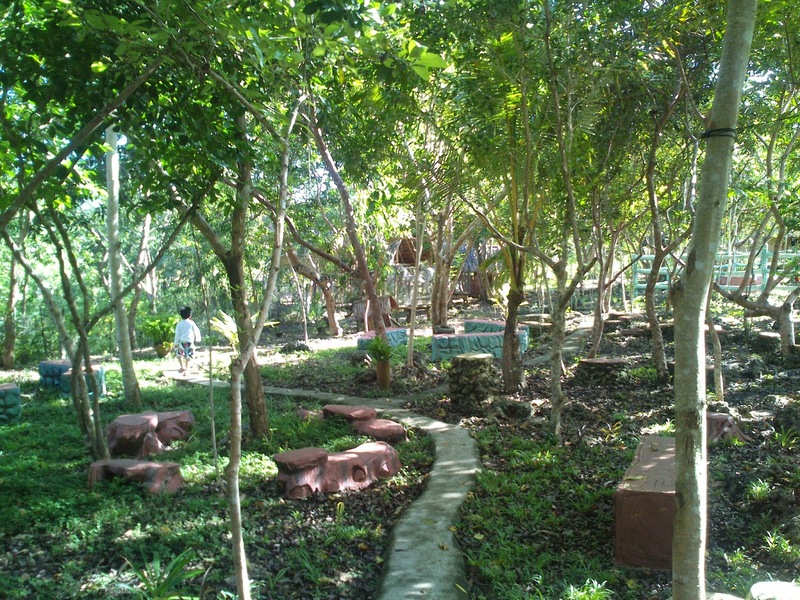 It features an in-house restaurant that serves self-grown organic food. From Tagbilaran City Airport or Ferry Wharf/Terminal, hire your choice of transportation: jeepney, airconditioned van or tricycle to Panglao Island. Airport pick-up may be requested in advance for an additional fee. Travel time from Tagbilaran city proper is about 45 minutes. 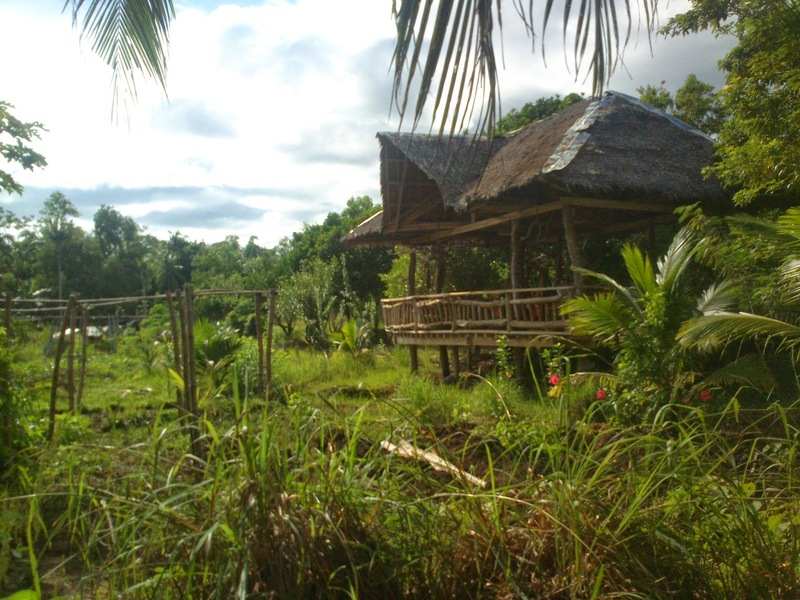 Nestled within lush greens, away from the crowds of Tagbilaran, is a peaceful retreat that's right on the money. From the main road, a 120m driveway provides access to the main farm grounds. 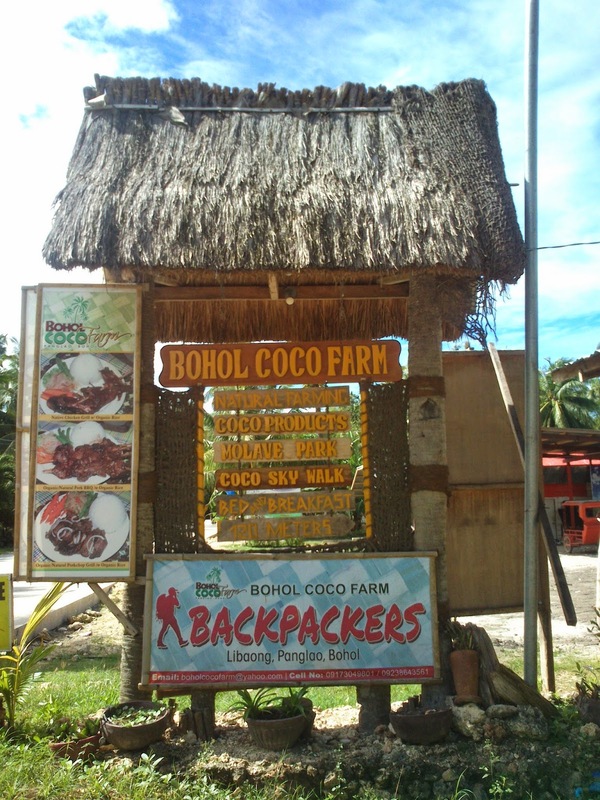 Bohol Coco Farm promotes agri-tourism and makes an effort to be locally conscious in the development of the place. That said, you'll find less plastic, more wood and lots of DIY stuff from coconut by-products. Rocky trails and cemented pathways crisscross like a maze, connecting the different structures in the area. It's not hard to find yourself a nice quiet corner - be it in one of the cement tree stumps or the hammocks you'll find under the bigger trees. Wifi is available in the restaurant building and its vicinity. 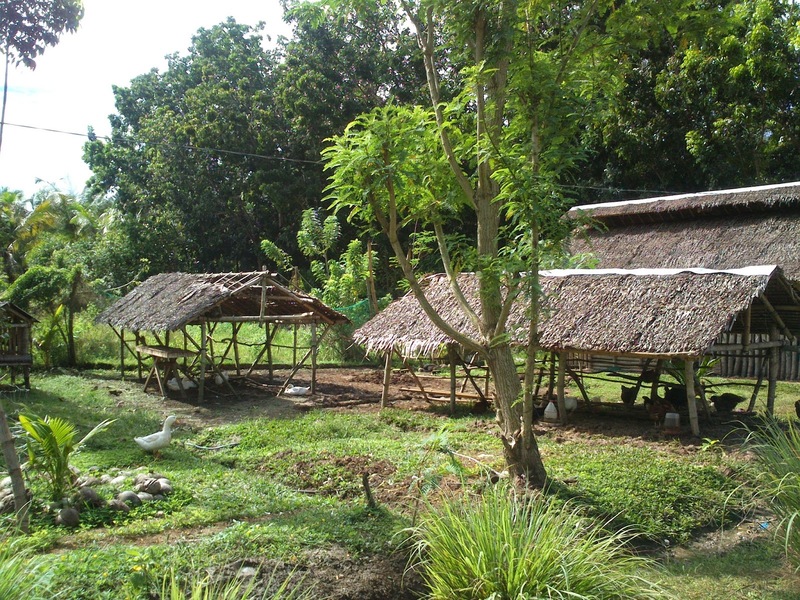 Bohol Coco Farm offers different types of accommodation. 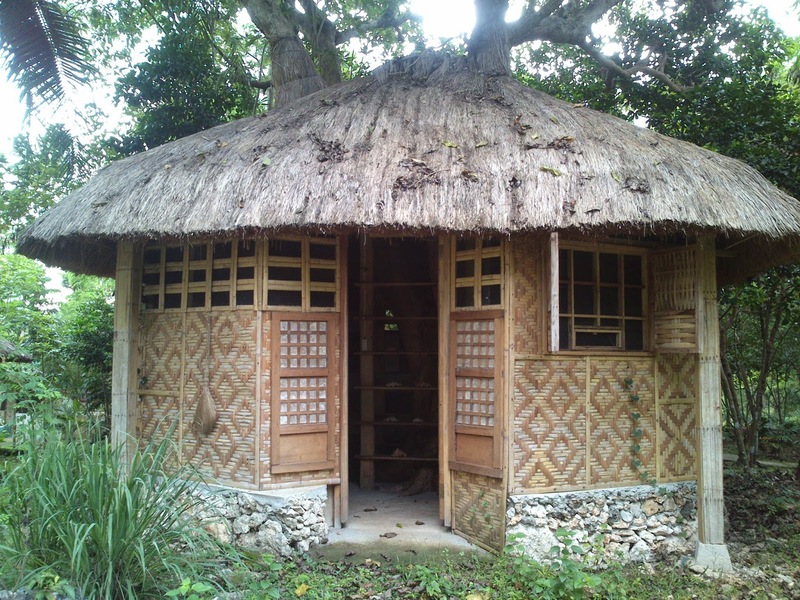 Rate starts at P300 per person, for a standard hut (fan room, good for two). Toilets and showers are located in separate structures, except for the airconditioned (deluxe) accommodation (which has its own private bath). 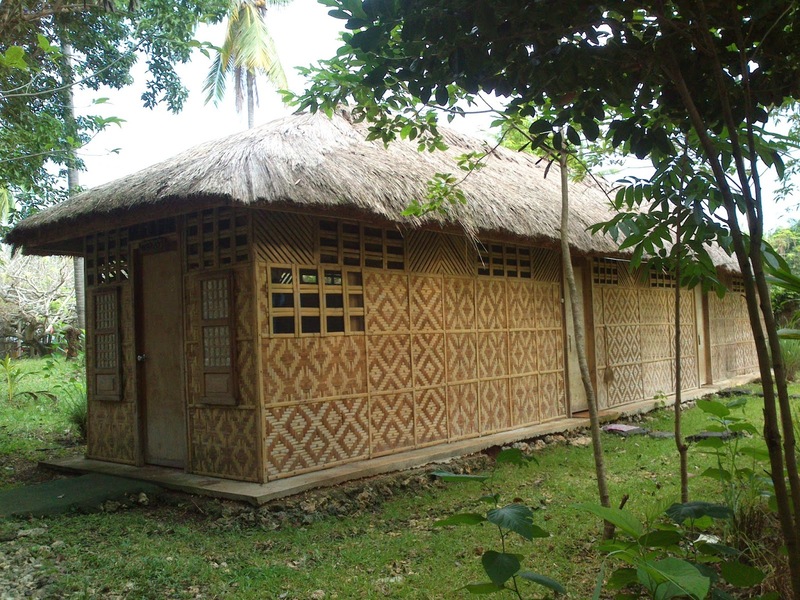 We stayed in one of the basic huts. 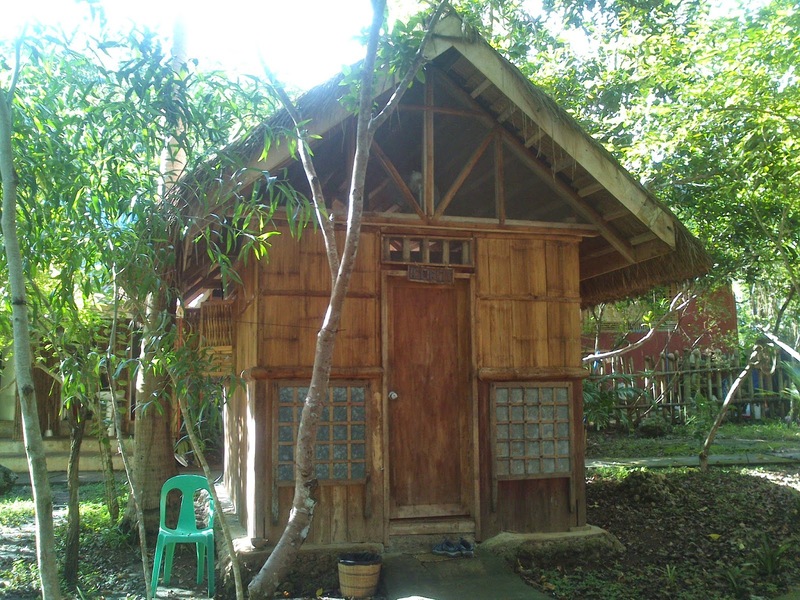 It had a queen bed, electric fan, an open closet for hanging a few pieces of clothing, a desk and a chair. 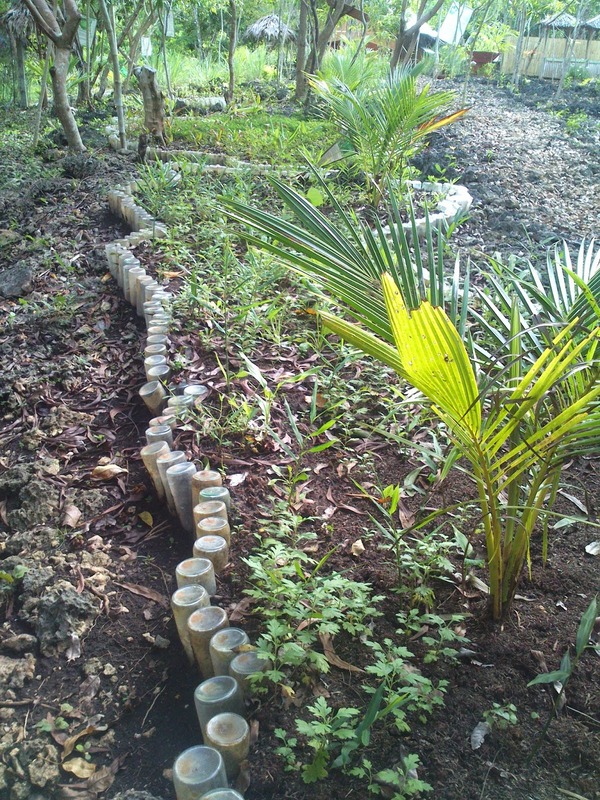 The beds were freshly made and the room was naturally scented with cuttings of local Oregano leaves and Lemongrass. Towels are provided, but you'll have to bring your own toiletry (soap/shampoo). Their largest room, I believe, is a dorm-type long house that can accommodate up to 15 people. 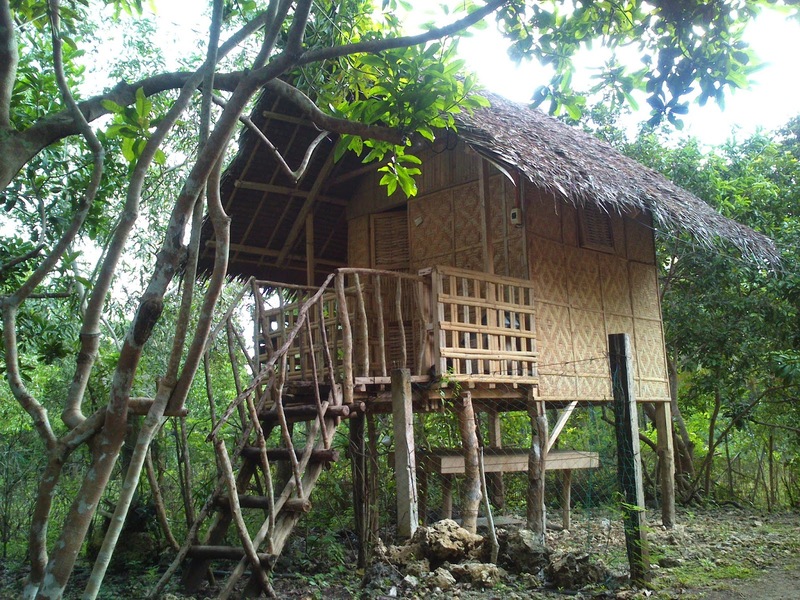 In-house attractions include vintage items on display, a real-life 'bahay kubo' (traditional rural house), the Coco Skywalk, the 'historical figures' walk and of course, the main event which is the actual farm where Palwa restaurant gets ingredients from. 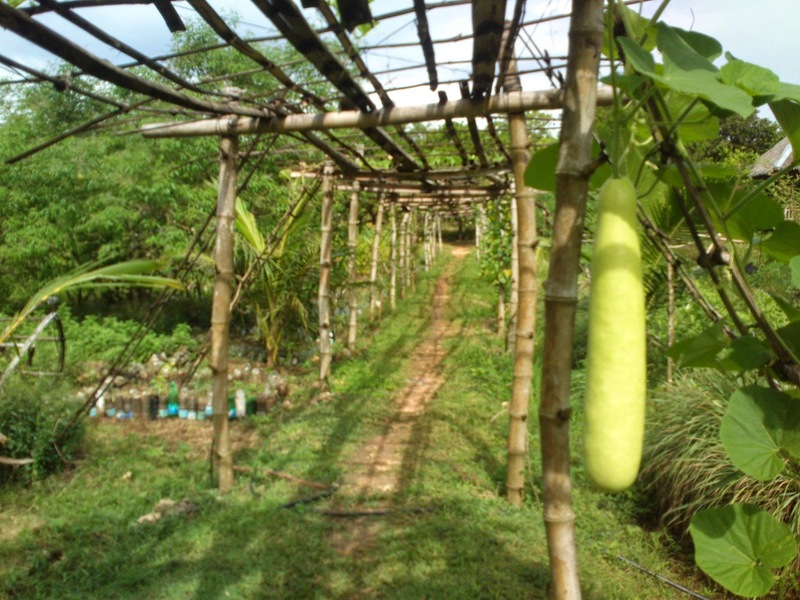 I especially enjoyed the walk around the vegetable farm, identifying plants as I see them! I kind of wish there were more factoids on trees and plants so people can get to know the different species. 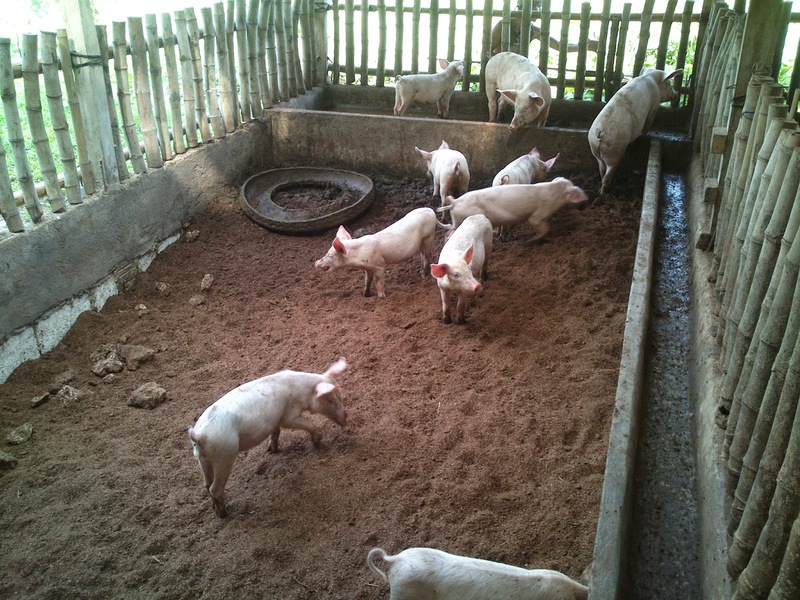 Amazingly, the chicken coop and piggery didn't smell at all! I was told that it had something to do with what they were fed. 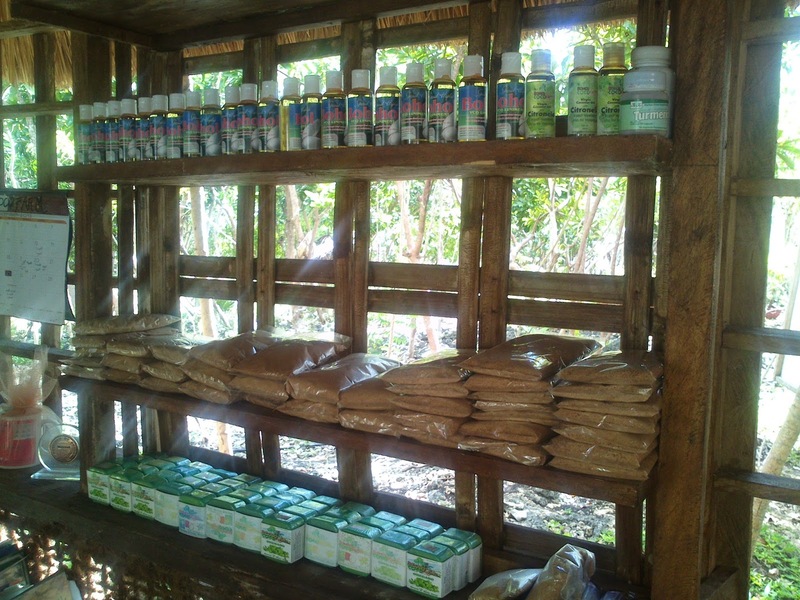 The information desk doubles as a mini shop that sells some souvenirs and organic products like coco sugar, soap and virgin coconut oil. Of course, the dish that brought me here in the first place. 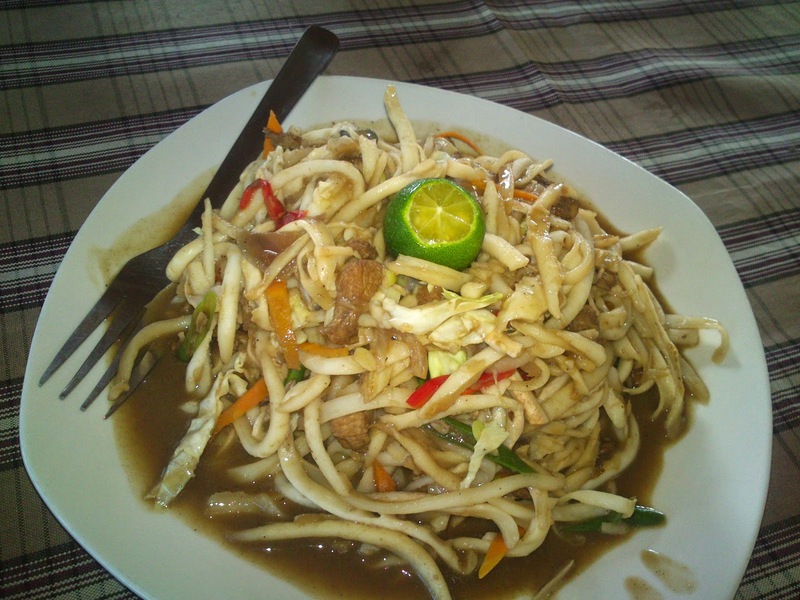 Presenting, the coconut pancit (stir-fried 'noodle')! We got to the place just in time for lunch, so we ordered the must-have pancit, eggplant nuggets (breaded eggplant, deep fried like chicken nuggets), free-range chicken tinowa (tinola/broth soup) and brown rice. For our drinks, Mr. Efren, the owner, let us taste his newest creation - the camote top juice! We are off to a healthy, hearty start! The pancit was very filling and nothing beats the tasty soup from an injection-free chicken. My kid loved the eggplant nuggets, until he realized it was green inside ('i don't like vegetable! ', hehe). Of course, a B&B wouldn't be without a serving of breakfast the next day. Normally, we were told, it's bread and jam, fresh fruit and coffee/tea. 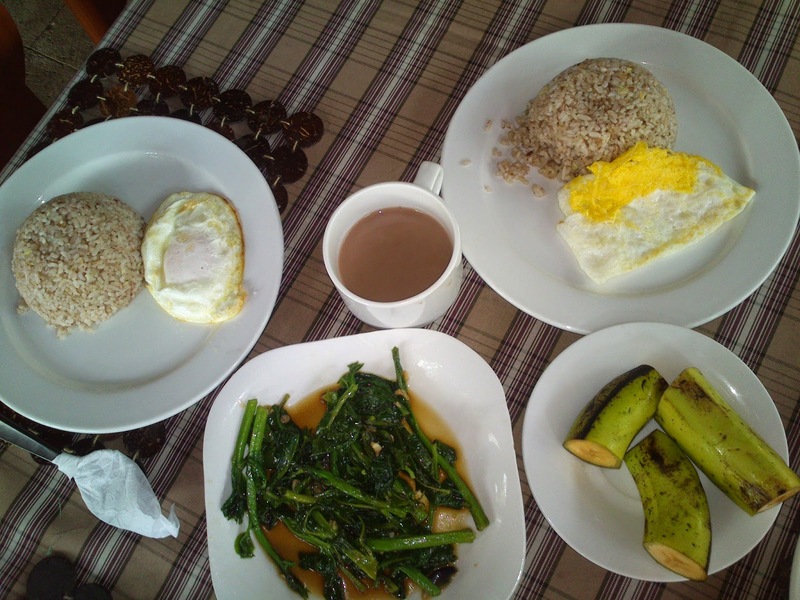 But they ran out of bread that day so we were served rice, egg, stir-fried veggies and banana! I wanted drip coffee, but they only had the instant ones that morning. Good thing I brought some tea, and that's what I had. Hopefully, supplies get more consistent so guests can enjoy a full organic immersion. When we arrived in Tagbilaran wharf, we were picked up by no less than Mr. Efren himself. Apparently, he was picking up a business partner and didn't mind taking us along on the ride. That saved us time and money. At the farm, his son EJ was there to help out. It's a family-run business and he was hands-on the entire operation. Just like any backpacker type accommodation, co-mingling with the other guests was a normal thing. 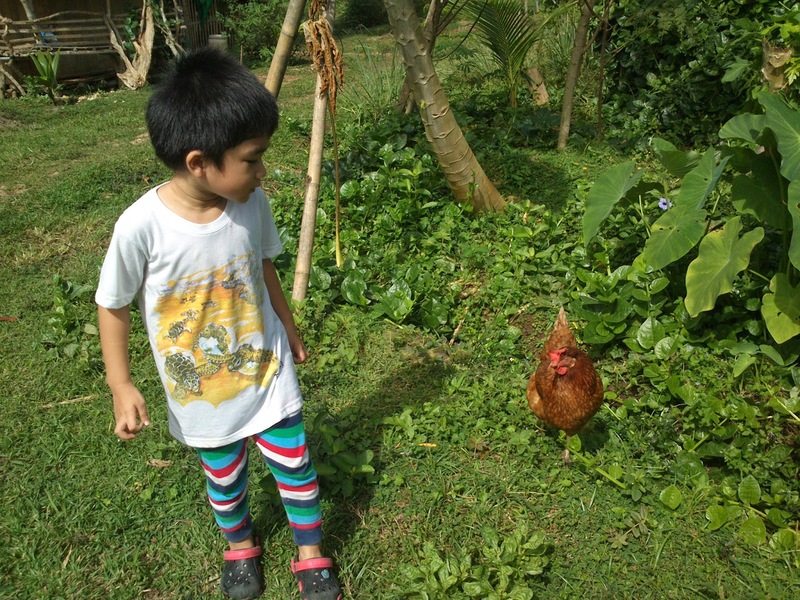 But my kid was more into interacting with the farm animals! A small commercial plaza nearby has a convenience store. 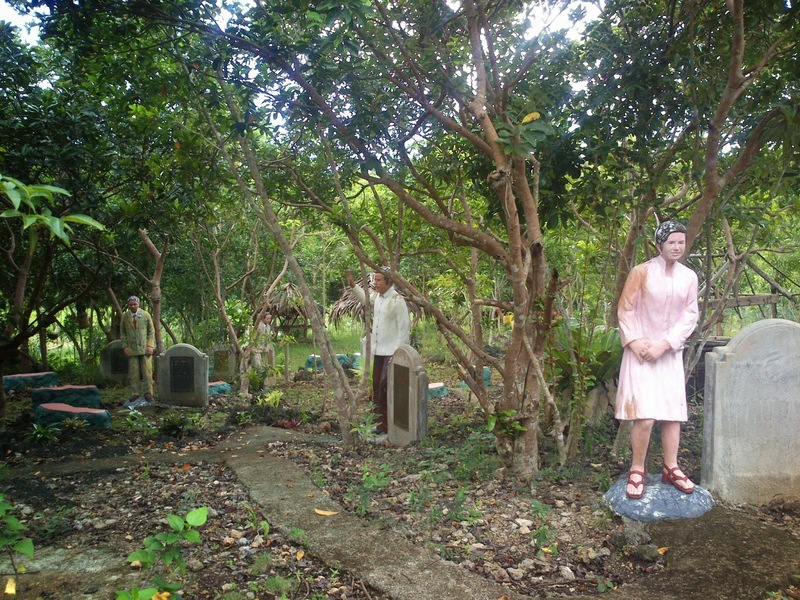 A Bohol day tour can be arranged, if you want to see the tourist attractions.